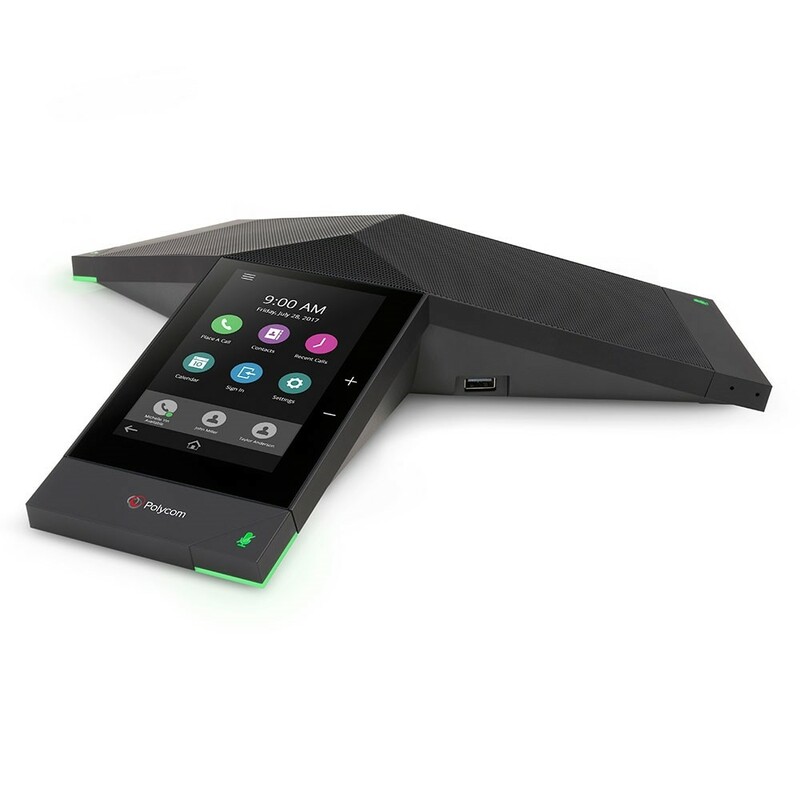 The Polycom RealPresence Trio 8500 combines a sleek touch display with Skype for Business interface and high definition audio with Polycom HD Voice technology. Polycom Trio 8500 takes the ordinary conference call experience to the next level. Getting conference calls started shouldn’t be hard, frustrating or time consuming. Now with Polycom Trio 8500 in a Skype for Business environment, they won’t be anymore. Easily start calls on time, every time with the same interface you already use on your Skype for Business desktop client. And with Polycom’s legendary voice quality, you can be sure every syllable is crystal clear with Polycom HD Voice technology. Don’t worry if you’re the IT guy who has been tasked with the installation. Tech Support is included for free and we keep most Polycom products in stock so your order will ship fast. Once you receive the system, you will simply take it out of the box, plug in a few cables and give it an IP address. If you need any help with network settings or configuration, just give our knowledgeable support team a call. They have years of experience and are always ready to help. You can even call and ask questions before you buy at 1-866-323-5773. New Polycom products require a one year maintenance agreement. You can optionally add Polycom maintenance to Refurbished Polycom products. Call 1-866-323-5773 to get a quote.